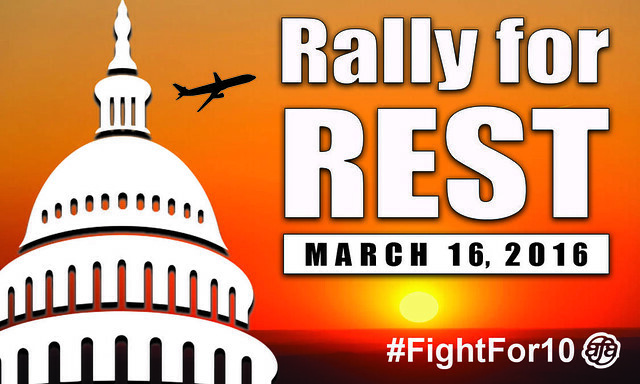 MARCH 17, 2016 - Over 300 Flight Attendants from across the industry descended on Capitol Hill to Rally for Rest. Flight Attendants from the Association of Flight Attendants-CWA, International Association of Machinists and Aerospace Workers, and the Transport Workers Union joined together to Fight for 10. They visited all 541 Congressional offices to advocate for these provisions. FAA Review of Evacuation Certification Standards. Check out more from the rally on Twitter here.